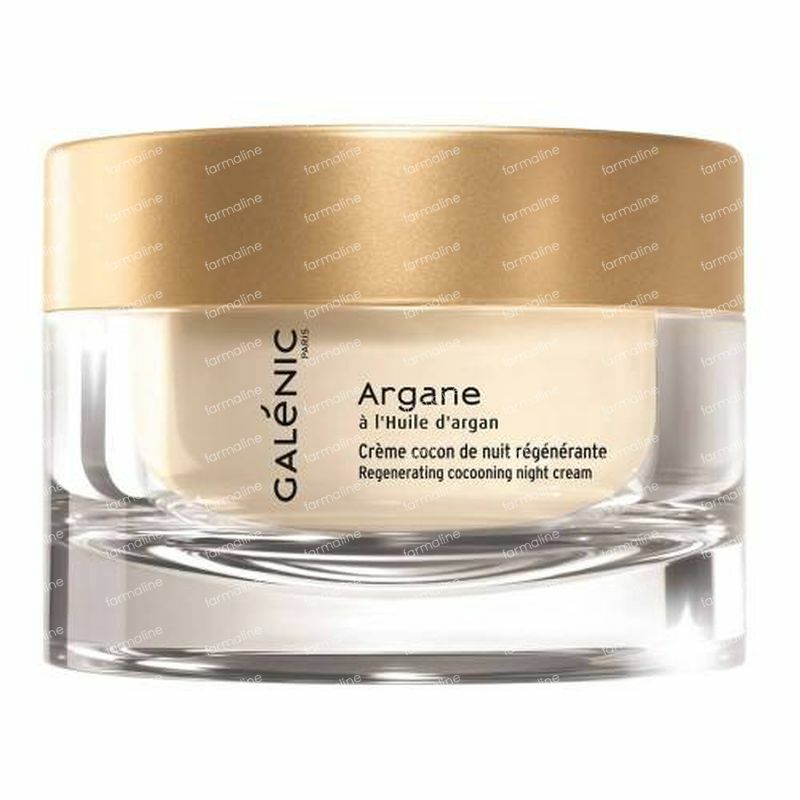 Galénic Argane Nutri-Active Night Cream 50 ml order online. Generous and smoothing Regenerating Cocooning Night Cream nourishes and repairs your skin throughout the night providing intense, long-lasting comfort in the morning. WATER (AQUA). MINERAL OIL (PARAFFINUM LIQUIDUM). COCOS NUCIFERA (COCONUT) OIL (COCOS NUCIFERA OIL). SUCROSE STEARATE. CETEARYL ETHYLHEXANOATE. BUTYROSPERMUM PARKII (SHEA BUTTER) (BUTYROSPERMUM PARKII BUTTER). PROPYLENE GLYCOL DICAPRYLATE/DICAPRATE. ARGANIA SPINOSA KERNEL OIL. GLYCERYL STEARATE. BUTYLENE GLYCOL. GLYCERIN. CETEARYL ALCOHOL. CYCLOMETHICONE. ALPHA-ISOMETHYLIONONE. AMMONIUM GLYCYRRHIZATE. BENZYL SALICYLATE. BETA-SITOSTEROL. BUTYLPARABEN. BUTYLPHENYL METHYLPROPIONAL. C13-14 ISOPARAFFIN. CITRIC ACID. CITRONELLOL. COUMARIN. DIMETHICONOL. DIPOTASSIUM PHOSPHATE. DISODIUM PHOSPHATE. ETHYLPARABEN. FRAGRANCE (PARFUM). HEXYL CINNAMAL. HYDROLYZED VEGETABLE PROTEIN. ISOBUTYLPARABEN. ISOPROPYL MYRISTATE. LAURETH-7. LIMONENE. LINALOOL. METHYLPARABEN. PHENOXYETHANOL. POLYACRYLAMIDE. PROPYLPARABEN. SODIUM CETEARYL SULFATE. TOCOPHEROL. YELLOW 5 (CI 19140). YELLOW 6 (CI 15985). 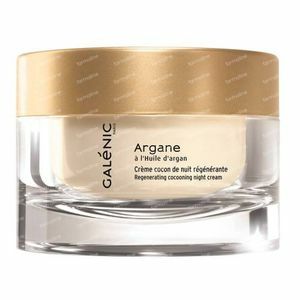 I always buy this nourishing cream for a friend of mine, she has been using the Galénic products for many years now. I started using this myself and I'm amazed by how rich and creamy it is, it sinks into my skin in no time and makes it feel so soft. During the day my skin no longer feels dry or tight. I now always use thing during fall and wintertime and I'm going to buy some more from the argan range for my body when it's cold. The best product I've ever used until now. I am absolutely happy with the texture, is very soft and it is absorbed immediately. I had problems finding a good cream for my dry face skin.